Smile Makers | Braces or Invisalign: How to Straighten My Teeth? Braces or Invisalign: How do I straighten my teeth? The most common reason for wanting to straighten teeth is of course to look good. There is no denying that a straight row of teeth will give a more attractive smile. Apart from looking good, straight teeth are also easier to keep clean. This, in turn makes it less likely for your teeth to have decay or gum disease. 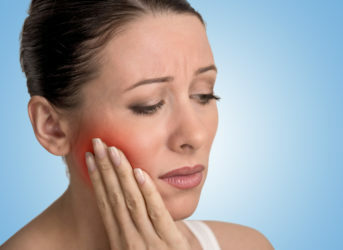 Straight teeth also lead to better bites – that is, the upper and lower teeth bite more efficiently. The traditional way of straightening teeth have been with braces – in either metal or ceramic. 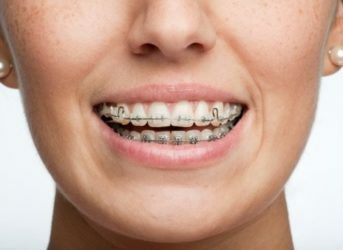 Braces are actually little brackets that are fixed to the teeth. Then, special wires tied into the brackets gently move the teeth into place. The wires need to be adjusted every 4 weeks or so. Certainly, some time is needed to get used to the braces and metal in the mouth. There are many adults who are unhappy with the arrangement of their teeth. What holds them back from improving their teeth is the thought of wearing braces and metal wires. Now, with the technology of aligners, it is possible to improve the alignment of teeth without braces or wires. There are several companies providing such aligners, the most established brand being Invisalign. Invisalign, uses a series of custom-made, transparent, removable aligners that fit over the teeth – like contact lenses for the teeth! Each aligner is worn for about 2 weeks and is designed to move the teeth a little at a time. The system uses its patented CAD-CAM technology and a clinical software that allows the dentist to design the movements of the teeth. Convenient – the aligners are removable, allowing you to eat whatever you want and making it is easy to clean your teeth. What will treatment with Invisalign aligners be like? The aligners need to be worn about 20-22 hours a day. i.e. they are only removed for eating and cleaning. 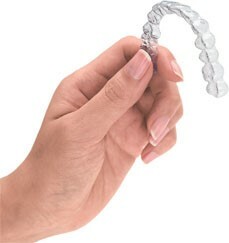 Each aligner needs to be worn for a minimum of 2 weeks before changing to the next aligner in the sequence. Patients need to be reviewed by the dentist every 4-6 weeks to ensure that the teeth are moving according to plan. As there are no wires to change or adjust, each appointment is usually much faster – and less painful – than with braces. Just like with braces, treatment time varies with the complexity of the case. Is it for Everyone? The Invisalign system of aligners is suitable for adults & older teenagers who have mild to moderate irregularities of their teeth. It is particularly suitable for those who have had treatment with braces in their teens but now have mild relapse. Braces, on the other hand are much more versatile and can treat a wide variety of problems. In cases of severe crowding, where teeth need to be extracted, it is possible that treatment with Invisalign will take longer. 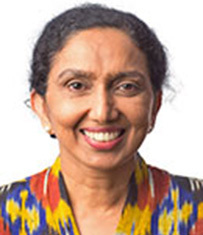 Treatment for more complex cases may take a 18 months or more. 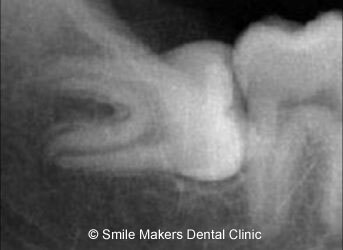 Some cases may simply be unsuitable for aligner treatment. Hence, it is essential to have a thorough clinical examination and all your records analysed to see which method is right for you. There are other issues to consider, such as your lifestyle or habits & your expectations. Fixed braces cannot be removed, so cleaning may be more difficult. This is a particular concern for those adults who are susceptible to gum disease and need to practise a high level of hygiene. Invisalign is removable so cleaning teeth is much easier. On the flip side, a high degree of discipline is needed to make sure the appliance is worn diligently according to instructions. 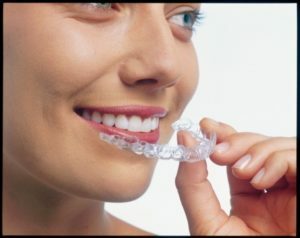 Invisalign is best for people for whom it is necessary that their treatment is discrete. Your expectations and the demands of your work or social life will influence your decision on whether you choose braces or aligners. What is the first step? If you want to know whether braces or aligners treatment is appropriate for your condition, you need to have an orthodontic consultation. At this consultation, your records like X-rays, photographs and moulds of your teeth will be made by the clinic. One advantage of Invisalign is that a computerised simulation of how your teeth will move during treatment, and the expected end-result, can be viewed by you to help you make a decision. Only after you agree to treatment and give the go-ahead, will the Invisalign aligners be manufactured.